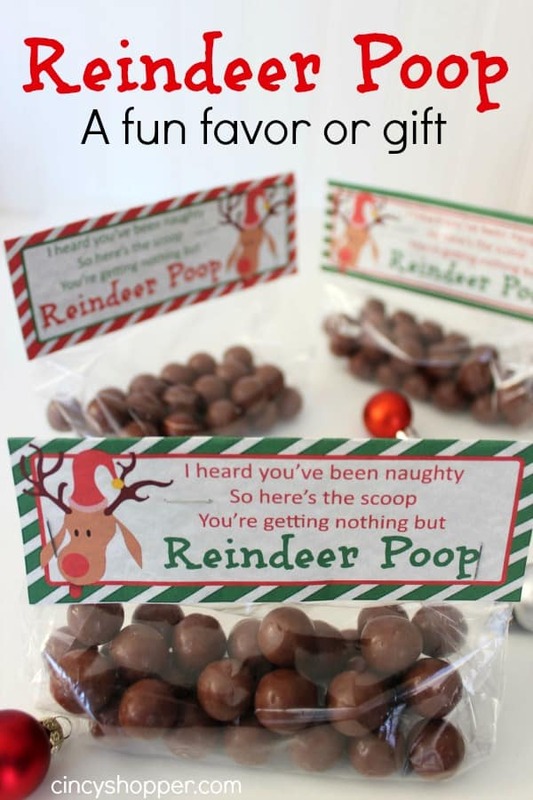 If you are needing a fun favor or gift for the holidays this Reindeer Poop Treat idea will be perfect. Super simple idea and I have the free printable bag toppers available for you to print making this super inexpensive. My kiddos like to make small gifts for their friends for the holidays. Last year we made our fun Reindeer Hot Chocolate Gifts and they were a hit. I knew they would be hard to beat but didn’t want to make the same thing again this year. 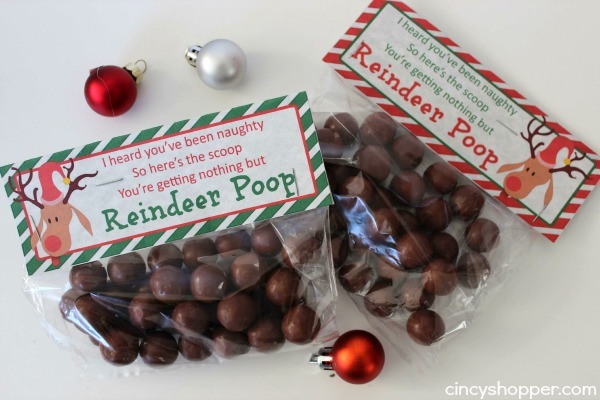 So last week I approached the kiddos with this Reindeer Poop idea. 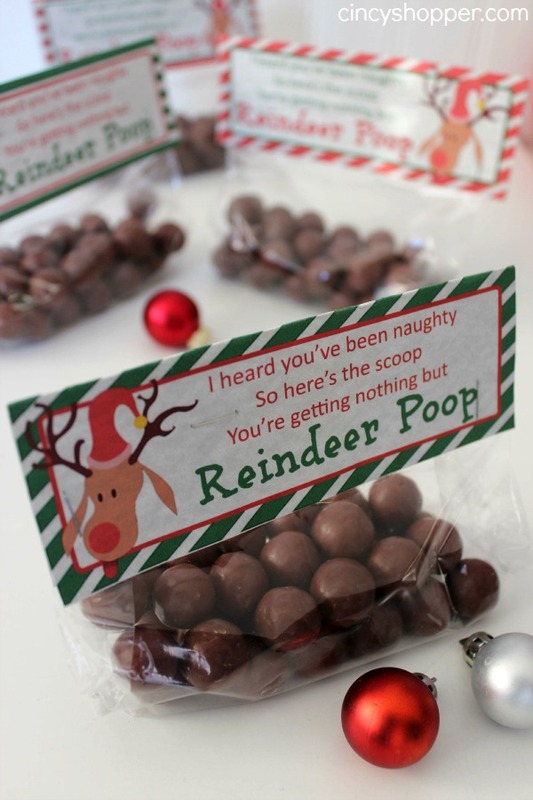 My kiddos have a real strong sense of humor (like their father, ha ha) so they were super excited to make this Christmas Treat idea. My autistic teen son Zachary laughed so hard that the laugh and excitement was priceless. So this bag of Reindeer pop has already brought me some joy. 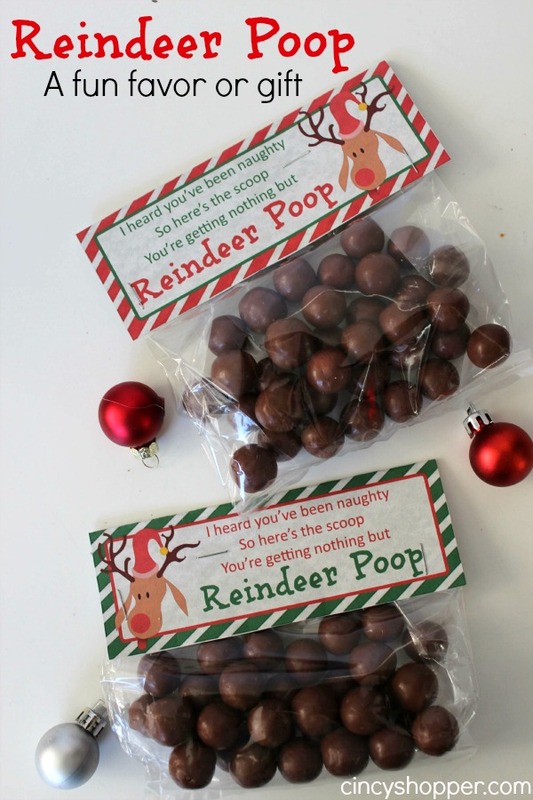 These Reindeer Poop Treat bags will be perfect for the kids to hand out to their friends. 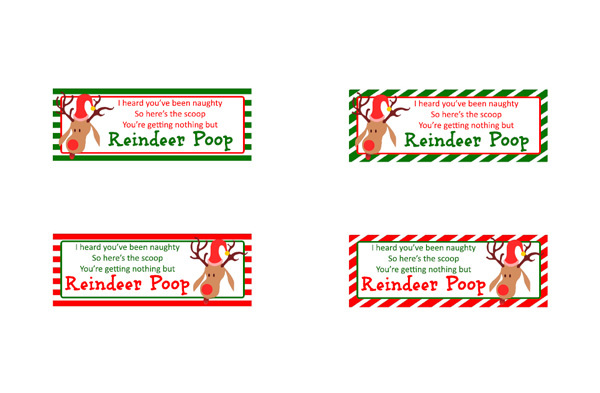 I think they would make great stocking stuffers or even great for an adult gag type gift too! I always have clear cello bags that I purchase at Family Dollar for $1. You can find these inexpensive goodie bags at most stores that cell any sort of gift wrapping/party favors. 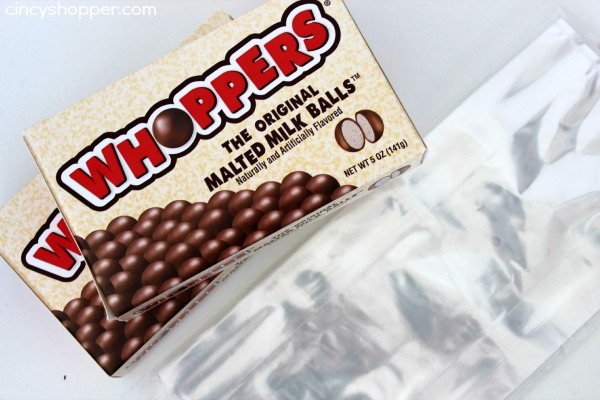 I scored some Whoppers in movie theater boxes at Walgreens last week with some of my Balance Rewards Points. These treat bags are super expensive which was important. Printable Topper Labels Print them here and here. Print labels and trim leaving white rectangle above printed portion (to fold over and act as back). You can Print your Toppers here and here. Place about 2 1/2 ounces of candy per bag. Fold over top of plastic and staple through label and bag to hold in place. This looks like a fun idea. I belong to a senior crochet group we exchange cards at Christmas, but we really don’t give gifts. I think they would get a kick out of this.